Steps to take when you accidentally lock your pet inside the car. Who does not like pets? Wherever we go, we want to take our four-legged pals with us. Pets are our best friends and they make our lives colorful. They are a beautiful gift of nature to the mankind. It is becoming a common practice that we take our pets with us on our vehicles. Where this is a good way to show love to these creatures, there are instances reported when the pets have been locked inside the car accidentally. When locked inside the car, the pets can go through serious fear and it can even cause danger to their lives. Here we will discuss things you can do when you accidentally lock your pet inside your car. In order to avoid the situation altogether, it is advisable to take certain precautions. While you load your pet in your car, make sure you don’t lock that door. You can also leave the window half open if you really want to lock the door so that you can easily open the door. Most of the reported cases of pets locked inside the cars are because of the negligence of the pet owners. They either forget to take their pets out and leave them out of hurry. When you are taking your pet with you, be patient and try not to forget them inside the car. Some people are afraid to call 911 in such cases because of the heavy fines. However, police understand the scenarios where accidents can happen. They are at your service and will help you to take your pet out. Instead of panicking, try to remain close to your car so that your pet knows you are with them. Pets can get scared when alone and your presence will be relieving for them. Try to show love towards the in this situation. If the weather is extremely hot and you feel that it will get late for the help to arrive, don’t shy away from breaking the glass of your car. It is not more valuable than the life of your pet. You can use any material like a stone or a stick to do so. 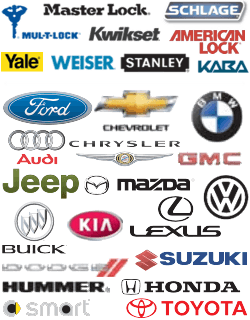 Of all the things you can do, the best way is to call a professional automotive locksmith company. These are professional companies and provide rapid services. They can reach the scene within no time and help to free your pet in no time. Most of the companies provide round the clock services and they are not expensive as well. This is the safest of the options and cheap as well. These are some things you can do when you accidentally lock your pet inside your car. The overall purpose of all this activity is to save your pet and keep it safe from any potential risks. Steps to take when you accidentally lock your pet inside the car. 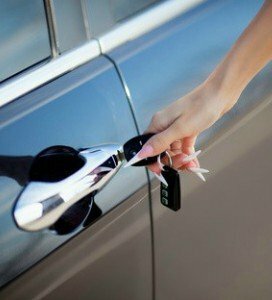 https://georgetown-locksmith.co/steps-take-accidentally-lock-pet-inside-car/ 4.0/5 based upon 15 reviews.